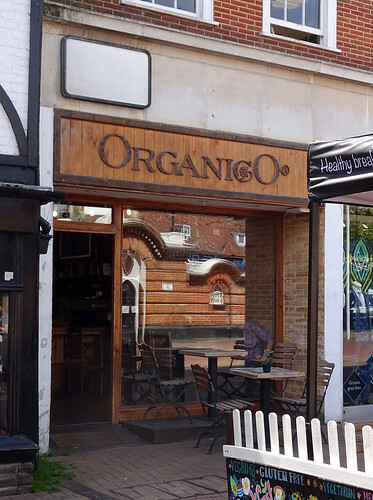 This week's featured article is for Organico in Epsom. It's a vegetarian cafe and deli with plenty of vegan options, that also does iced herbal teas if that's what floats your boat. Fans of Crystal Palace's best deli/booze shop, Good Taste, will be pleased to hear that Manish and co have opened a restaurant just down the road, Salt and Pickle. Pickling seems key, so it's a relief to hear their pickles are of a high quality, though happily the wine list remains vinegar-free. 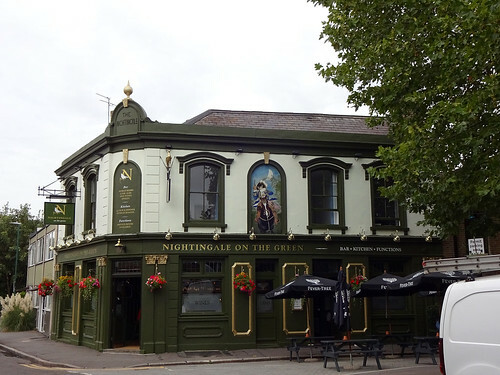 Finally, there's a pub closure to report: the Nightingale in Wanstead has shut. New this week are entries for Battersea Pie Station in Covent Garden, which I keep calling Battersea Stodge Station in my mind (the pies are stodgy but in a good way), and the Crown & Pepper pub in Caterham, which also has a restaurant section serving Indian and Indian/Chinese food. Affogato in Norbury is temporarily closed while they sort out the drains and the licensing (yikes), but it's good to see the Catford Bridge Tavern reopening. It's no longer an Antic pub but hopefully the new owners will have retained its friendly atmosphere and spacious interior. Finally, here at RGL Towers we mourn the passing of the best named combination-cafe-and-juice-bar in South Croydon, Juicy Squeeze. A carton of Five Alive just won't cut it anymore. Hello again RGLers! No reported closures this week! 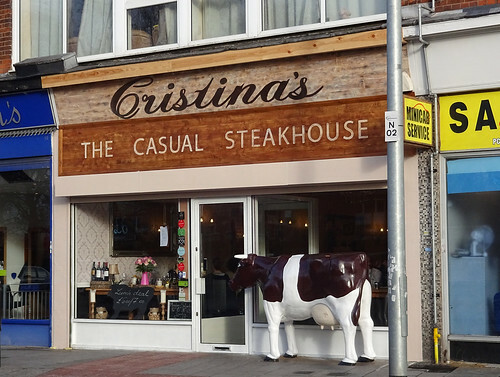 This week's featured article is Cristina's, IG11 8AW, a steak restaurant in Barking. It's child-friendly, not too loud, they have a lunch deal, and if you like steaks then it's probably worth your time. It is, after all, as they say, the "casual steakhouse". One new article is Sai Mantra, an Indian/Sri Lankan restaurant in Gants Hill, sticking with the outer East London theme. Decent seafood roti, but it sounds like chilli mogo is the thing. Finally, two updates are to Wanstead's Wetherspoons The George, and Chigwell's King William IV. 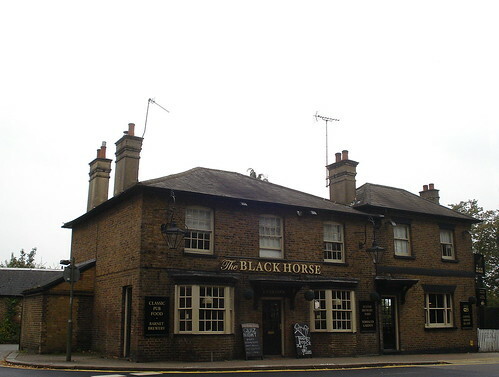 In case you thought High Barnet was just a destination on the Northern Line, our featured article this week is for a brewpub up that way, The Black Horse, EN5 4HY. It's split into a few different areas, and features above-average pub food. Also, obviously, their own beers, amongst others. Three additions are: The Union Cafe in Marylebone (good for wine, pleasant and lively); The Log Cabin in Leytonstone for 24 hour burgers and breakfasts; and Finezja in delightful Neasden, where you can get good solid, gloopy Polish food, with a side of Polish news. 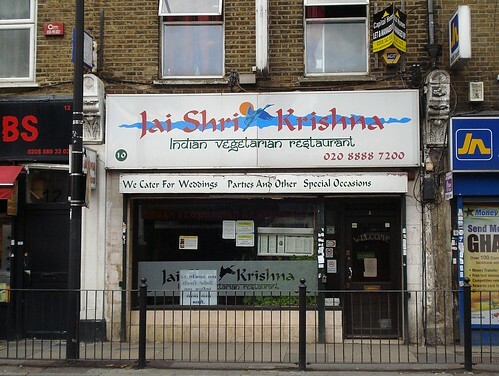 This week's featured article is vegetarian Indian restaurant Jai Shri Krishna, N8 0PT up by Turnpike Lane at the edge of Hornsey. It's cheap, it's friendly, it's BYO (and they didn't even charge corkage): I can recommend it. Two new articles are The Crown and Shuttle, a nicely refurbished former strip bar which has got some nice beers and a big garden, albeit at a price, and Palace, a Korean restaurant in New Malden. Look out for some lovely crab and some surprise non-vegetarianness. We have an update to report to previous news of the closure of Topolski Century Gallery, one of the odder little galleries in London. It's now a bar, apparently. This reminds me that I heard one of the other spaces near there was to become a Waterloo Tap (like the one at Euston), so I'm quite looking forward to that. Reported closures are: The Union Tavern in Camberwell, which split some years ago into a bar and restaurant; and The Duke of Edinburgh in Wanstead, rather more recently. 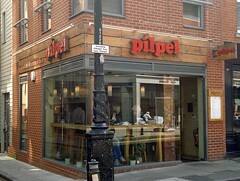 New featured article — Pilpel, E1 6AT. This week's featured article is Pilpel, E1 6AT, a self-proclaimed "falafel and houmous bar" in Spitalfields near Liverpool Street Station. The menu is entirely vegetarian, and focuses on falafel and houmous with optional extras such as pitta bread, aubergine, and/or hard-boiled egg. They've just opened another branch in the City, too, on Paternoster Square in the premises most recently occupied by Glo (next to The Whisky Shop). Recent additions to RGL include the Red Lion, a recently-opened Antic pub in Leytonstone, and Bea's at One New Change, a cafe and tea shop in the One New Change development near St Paul's. 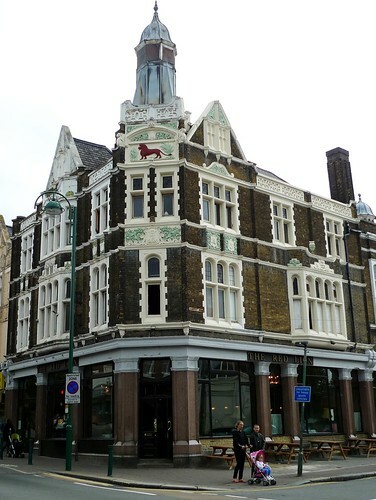 We've also updated our writeups of the Antelope, another Antic pub in Tooting, and the Olde China Hand, a pub near Sadler's Wells in Clerkenwell. No reported closures, unless there's something I've forgotten! 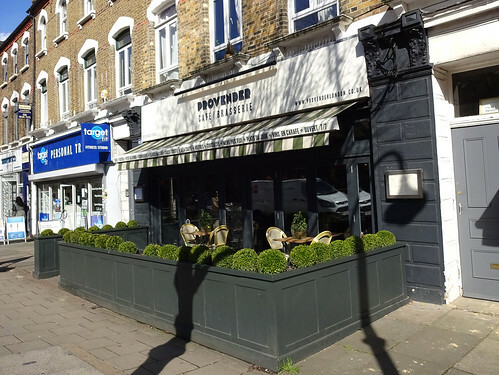 New featured article — Champor-Champor, SE1 3QJ. This week's featured article is Champor-Champor, SE1 3QJ, a "modern Malaysian fusion restaurant" in Borough, just south of London Bridge Station. The decor is somewhat idiosyncratic, the air is scented with incense smoke, and the food tends to have quite a lot going on on the plate, but I quite like it. 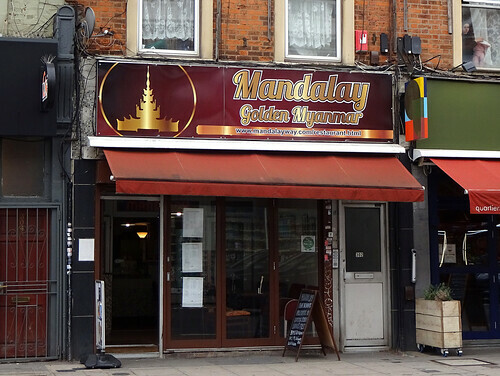 Recent additions to RGL include Amurg, a Romanian and Moldovan restaurant in Leytonstone; Shanghai Village, a dim sum restaurant in Twickenham; Langton's Bookshop in Twickenham; and the Cheapside branch of Daunt Books. We've also updated the writeups for four of Twickenham's pubs: the Fox, the Prince Albert, the Prince of Wales, and the Rifleman. 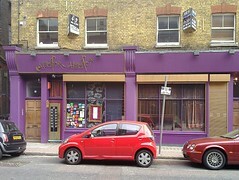 One reported closure: Only Fools and Falafels just off Tower Bridge Road. New featured article — Dacre Arms, SE13 5BU. 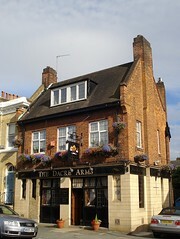 This week's featured article is Dacre Arms, SE13 5BU, a nice little locals' pub on the Blackheath/Lee borders. It is quite possibly the best pub for some miles around. Recent additions to RGL include Le Pain Quotidien on the South Bank. We've also substantially updated the writeup of West Lake in Deptford. 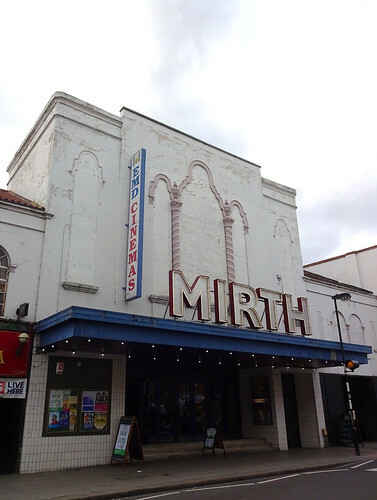 Reported closures are Kiasu in Bayswater, Eastcote Bookshop in Eastcote, Harris's Cafe Rest in Shepherd's Bush, Thai Pavilion East in Lambeth, and Mexicali in Soho. On the bright side, Green Borders in Leytonstone and Royal Oak (Polly Clean Stairs) in Bexleyheath have both reopened. kake - New featured article — Pilpel, E1 6AT. 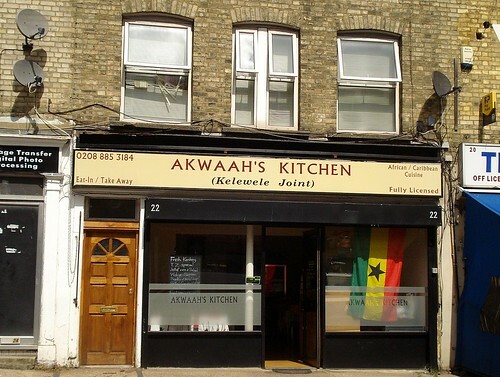 kake - New featured article — Champor-Champor, SE1 3QJ. 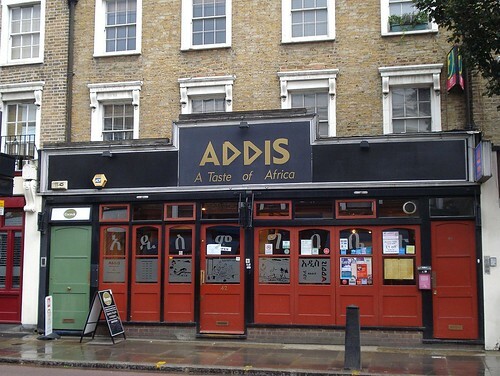 kake - New featured article — Dacre Arms, SE13 5BU.